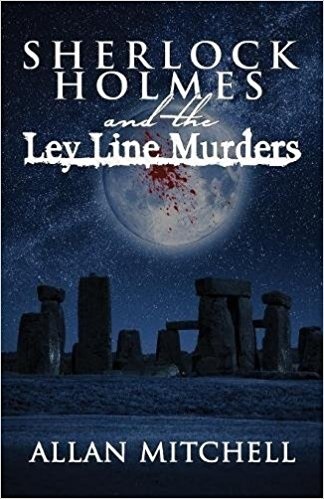 When the body parts of French soldiers turn up on Britain’s infamous ley lines on Salisbury Plain, Holmes is thrust into an investigation on Mycroft’s orders. With potential international ramifications, the murders must be handled with a bit of diplomacy. But the murders are also bloody ritualistic sacrifices and there is an undercurrent of the unknown running through the case to further complicate things. The story is not bad at all, and I was pleased to see Allan Mitchell move away from books written as poems into prose, which is certainly easier to read. My beef with this book is not with the storyline, but with the typeset used. All conversation is printed in italics and is very hard to read. Eventually, after about 185 pages, I just gave up on the book. Since I have actually read Mitchell previous books aloud, the way poetry should be read, that should indicate how aggravating I found the text. I seriously cannot give the book more than two stars. I believe that if the book were typeset minus all the italics, it would greatly improve the experience of reading.